The White Pine Bed frame has a traditional stylish slatted design which will be the perfect centrepiece to your child's bedroom. It is made from high quality, sustainable New Zealand Pine and can be split into two separate single beds for added versatility. It has vertically slatted head boards, and foot ends, and safety rails on the top bunk to help keep your child safely in bed. 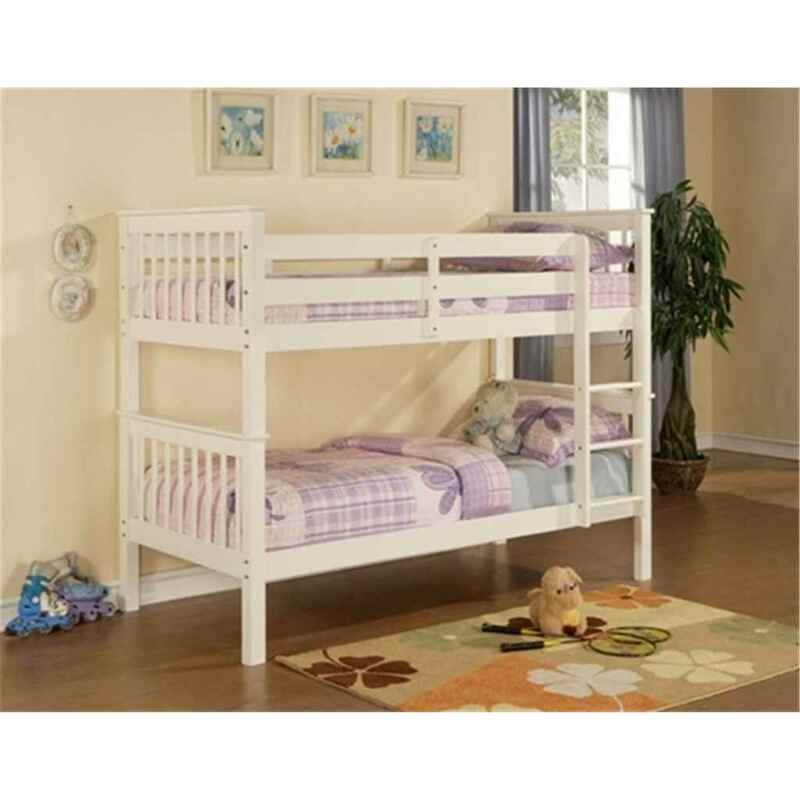 The White Bunk Bed is also available in a natural pine finish.